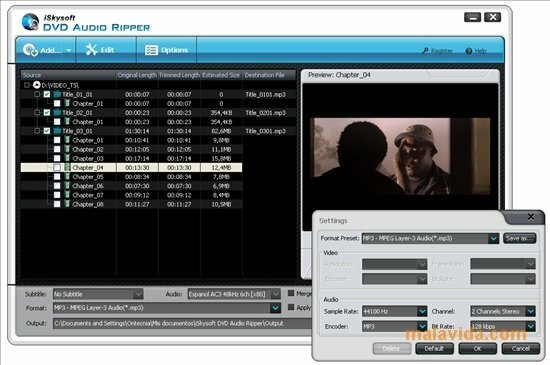 When it comes to ripping the contents of a DVD, there are many tools that can help us with this task, but few of them are focused only on audio, as in the case of iSkysoft DVD Audio Ripper. 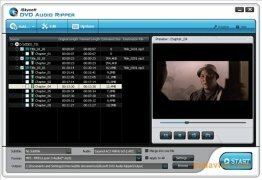 The application allows us to extract any audio track included in a DVD Video disc or IFO file, converted to MP3, M4A, WAV, AAC, AC3 or WMA, allowing the user to adjust the files channels, the sample frequency, the kind of codification or the bit depth. 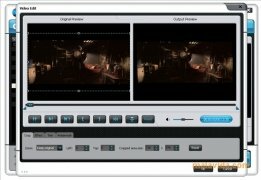 The program will not only recognize the main track, it will also allow us to choose between languages or the extra contents, as well as being able to choose a specific scene or chapter, so that we don't have to extract the full audio content from a film if we don't need it. The program's interface, as well as being really well designed, is also very intuitive, being very easy to use for any user. If you want to rip the audio from your favorite films, but you don't know how to do it, download and try out iSkysoft DVD Audio Ripper.